All The Write Stuff: Meet International Best Selling Author Scott Nicholson! Meet International Best Selling Author Scott Nicholson! Whether you are just starting out as a writer or successfully published and in the field for some time, this year's talent at GLVWG's "Write Stuff" Conference is sure to help inspire, educate and enhance your writing life. During the next few weeks we will be posting a new interview with one of our very talented VIPs. First up is Scott Nicholson, international bestselling author of 20 thrillers. His bio is listed at the bottom of this interview and on our conference page. As a prolific international bestselling author of 20 thrillers, (including The Home, After: The Shock, Liquid Fear, and Disintegration); in addition to writing 80 short stories, six screenplays, five children’s books, and three comic-book series, (plus songs and poems), it seems quite apropos for you to have such a strong presence at this year's "Write Stuff" conference and pre-conference workshops. Based on the descriptions for your pre-conference workshops "Nurture Your Inner Hack" and "Re-imagining Your Writing," it would seem you are constantly "swimming in an ocean of creative ideas." Have you always been able to do this? Or is this something you developed over time? Nicholson: I’ve always had more ideas than time to write them. Mostly, it’s just a habit developed over years, plus it’s just my nature to want to create things. I guess I am a natural born liar. Even when I was a musician, I always wanted to make up songs instead of learning some star’s song note for note. I understand you believe in embracing the digital age and with sales of 500,000 ebook within the past three years this appears to be a sound philosophy. Could you tell us what first made you a firm believer of ebooks and the digital age? And what advice would you have for other writers contemplating grabbing ahold of the digital age? Nicholson: It was part inspiration and part desperation for me. After a few mass-market and small-press deals, the stream was drying up and I had to try something different. Luckily, the Kindle was just beginning to take off, so I jumped aboard and didn’t look back. Really, no matter what your route to publication, digital sales will be an ever-increasing part of your future, so it’s worthwhile to learn about the different devices and how readers are using them. Is it difficult to branch into international markets? Do other countries crave a different type of story than here in the states? Nicholson: Well, marketing is the biggest challenge, no matter which route you take. Digital publishing allows you to reach the entire world, but translations are still important. I basically set mine up like a publishing company, finding my own translators, but other opportunities are arising, too. I couldn't help noticing the phrase "Will trade words for magic beans" on your website. Am I correct to assume there is a story behind that...and if so, would you mind sharing it? Nicholson: That’s just a play on “Jack & the Beanstalk,” as well as the fact that I am a serious organic gardener. My writing business is primarily to sustain my rural lifestyle. If gardening paid better, I’d probably spend all my time on it. I have to admire your tenacity. Based on your information on your website you experienced 105 rejections before your first story sale and then over 400 more before you sold your first novel. What was your inspiration for holding on when many would have given up? Nicholson: Only the first two or three bothered me. After that, I realized it was just part of the process. I’ve learned to remove my ego from the process as much as possible. It’s nothing personal when your book doesn’t reach the right agent or editor, or doesn’t appeal to a certain reader. Just keep at it and you will find the right people. And finally, last question... Writing horror thrillers like "The Harvest," which hit #1 on the U.K.’s Kindle horror list, you probably get asked if any of your ideas come from your dreams/nightmares. Would you mind confirming or denying that for us? Nicholson: Not really. I don’t take horror seriously. It’s just a means of exploring certain questions and spiritual mysteries without being restricted by too many boundaries. To me, the big question is “Why are we here and what happens after that?” Horror, particularly in supernatural stories, is a good way to explore that question. Thank you Scott for taking the time to let us get to know you better and being a part of our 21st annual Write Stuff Conference event! Scott Nicholson is the international bestselling author of 20 thrillers, including The Home, After: The Shock, Liquid Fear, and Disintegration. He’s sold more than 500,000 ebooks in the last three years. Amazon’s Thomas & Mercer thriller imprint has released his Fear series and Amazon’s 47North imprint will be publishing the serialized novel McFall. Nicholson is also writing for a new Amazon media tie-in program. His ebook sales are projected to exceed $1,000,000 in 2013. The Home spent six weeks on Amazon’s Kindle Top 100 bestseller list, selling more than 25,000 copies during January 2013. He’s been in the Kindle Top 100 with six different books in the United States and twice in the United Kingdom, reaching #12 with Liquid Fear. His horror thriller The Harvest hit #1 on the U.K.’s Kindle horror list. He’s also been in the Nook Top 100 twice. 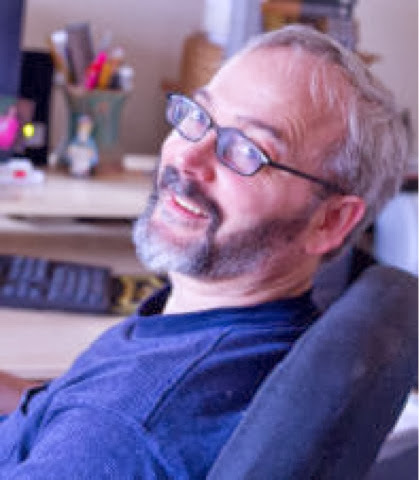 Nicholson won the worldwide Writers of the Future contest in 1999 and was a Stoker Award finalist and an alternate selection of the Mystery Guild for his debut novel The Red Church. He’s also written 80 short stories, six screenplays, five children’s books, and three comic-book series. He’s served as an officer or volunteer in the International Thriller Writers, Mystery Writers of America, and Horror Writers Association. His website is www.hauntedcomputer.com. Great perspective on digital publishing and persistence paying off in writing. Looking forward to the conference.